Starting today, if you workout using the Nike Training Club app on your Apple iPhone, you can also use the Apple Watch to monitor certain aspects of your workout. Here is how it works. You start your routine by using your handset, and then the timepiece will show you how much time or reps remain on your current drill. The Apple Watch will also provide haptic feedback at the start of each drill, and will continue to do so until your workout is complete. Focus more on your workout and less on your phone. Monitor your heart rate, approximate calories and other exercise statistics right from your wrist. Achieve your exercise goals via weekly notifications encouraging you to close your Exercise ring. 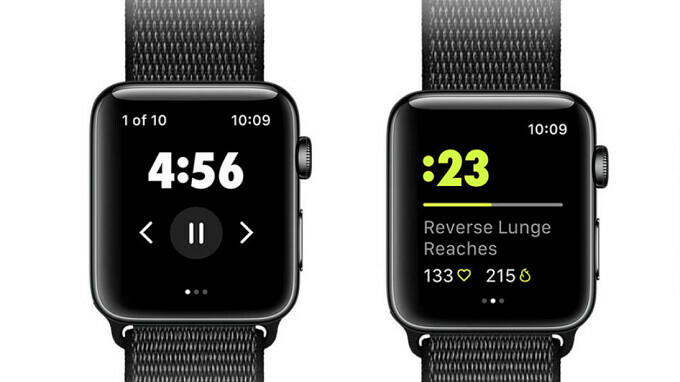 The Apple Watch supports all 180+ drills offered on the Nike Training Club app. You should make sure that you have the latest version of the app installed on your iPhone. Again, once you start a workout using the handset, the Apple Watch will start monitoring your drills. To use the Nike Training Club app on your Apple Watch, your phone must be running iOS 11 and higher, and your Apple Watch should have watch OS 4.0 or higher installed. To download the Nike Training Club app on your iPhone, click on this link.